Are Career Fairs Worth Attending Anymore? In today’s world, there are countless ways to job hunt. One can simply go online and peruse job posting sites, ask their social network, go to career fairs, etc. However, if one is truly attempting to find the right job, as expected, they strive to find the most efficient and effective method. In the digital era, information about jobs, companies, and careers are so accessible online that making a connection can be a true differentiator between companies. But, honestly, with this fast-paced world, are career fairs really worth the time? I mean, half the time when you talk to company representatives they just tell you to go to their website. Or, moreover, they treat you like you are just another fish in the pond. Additionally, are Career Fairs effective for all jobs? Before spending all of the time and energy going from booth to booth, it would be nice to know if it is worth the investment. The answer is not universal, it is actually found in the approach to the Career Fair. It’s also irrelevant what type of job you are looking for. Two students may go to the Career Fair with the same qualifications and same career interest, but have two drastically different results. Let’s take a walk through some tidbits to ensure you are the successful student with competitive job offers. Before diving into tidbits, let’s just start with the goal that each student has going into a job fair – to get a job. Why shouldn’t this be the goal? You went to college to get a job, right? Why else would you go to a career fair? Well, the answer isn’t actually as obvious as you think. As great as Career Fairs are, if they are viewed in the wrong light, they will be largely unsuccessful. It would be like trying to use a football for a baseball game – where home runs are far and few in between. The reality is that no one received an offer at a career fair. They made a connection and created enough delight in the company rep to create a next step. Try shifting your focus from getting a job at a Career Fair to two things: Making a Connection and Creating Delight. The first focus, Making a Connection, is about truly engaging and being intentional with each company representative. Although nothing may ever happen for a job, you have built a relationship with that person – which I’m telling you right now is the first step to getting your dream job. Not only did you just make that person’s day, but you also created a deep connection informing them you’re detail-oriented enough to notice their pain, in addition to taking the action to do something about it. Career fairs are great for Making Connections and Creating Delight, but they are nothing without a next step. When you feel like you have made a deep connection and things seemed to go well at the Career Fair, it is necessary to create a follow-up while you are at the Fair. Salesmen will tell you all of the time that they have never made a sale without having to set up a next conversation. So, when you have a good gig, try to set up a follow-up conversation with that company rep or ask for next steps and what you can expect. When you have set up your follow-up, now it is time to take the interview process to the next level. Since meeting this person, you have been researching your contact, their boss, the company, and everything else you have learned through your connection. Think of your relationship like an Intelligence Agent in the CIA and the Company Rep as a Source. As you have been talking with the company rep, engaging them, creating delight – you are at the same time gathering data to frame yourself correctly. Remember, it is not about the pitch, it’s about the wind-up, it is about you setting yourself up to look like the best candidate that company has ever seen. But, in order to do that, you have to know who you are talking to and what they are looking for. In order to do that, you need to build a connection stronger than the Golden Gate Bridge. 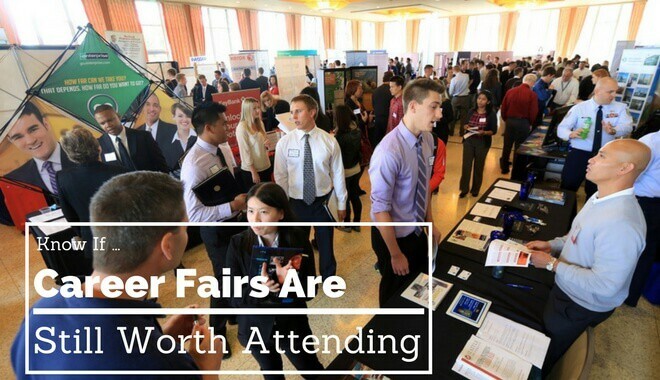 Career Fairs are not useless, they are an excellent way to gain connections, engage and create delight the right people and gather the necessary data to present yourself in the best possible light for that dream job.